Most Common Carpet Problems - and Their Solutions! 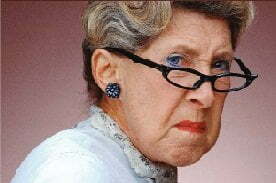 Occasionally, carpet cleaners get blamed for problems that have nothing to do with the cleaning. 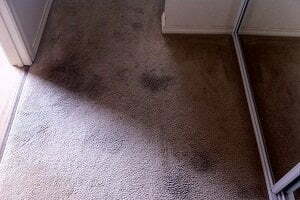 Unfortunately, is only after the cleaning that customers give the carpet a careful inspection and notice problems. Below, we will cover the common problems, and briefly explain their causes and solutions. Whenever any type of carpet is exposed to moisture, it will have some sort of reaction. For example, when natural jute backings get wet, they tend to shrink, whereas synthetic backings may expand. 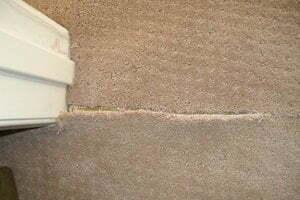 For this reason, a common problem with synthetic carpets is buckling or rippling, particularly after a “wet clean”. If this sort of thing happens during a professional cleaning, it really isn’t the cleaner’s fault, unless it was a case of over-wetting. Fortunately, there is a solution for simple buckling and rippling. 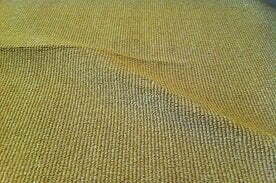 Solution: Once the carpet is completely dry, the buckling and rippling should disappear as the fibres shrink back down. 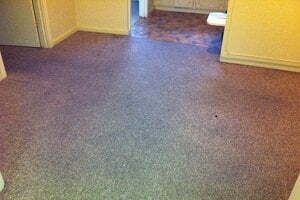 Carpet re-stretching may need if problem persists. Contact a carpet repairer in this case. This term refers to the slight yellowish discoloration that may appear after a carpet has undergone an over-wet cleaning procedure or has suffered from water damage. This reaction is completely natural, as many carpets contain matter that is derived from plants. This “cellulosic matter” will oxidise and break down as it ages, a process that is stimulated by moisture. During that oxidising process, a natural dye is released that can lead to the yellow or amber stain. Solution: Professional carpet cleaning, making sure that fast-drying procedures are used by your professional. When a substance seeps through the carpet to the backing material or even the underpad, it can get trapped in there. When your clean the stain, you are cleaning the top only of the carpet therefore you aren’t getting the spill out completely. During the drying process, the carpet may reabsorb the stain as the substance slowly creeps up the fibre strands returning to the surface. Solution: Professional carpet cleaning. Localised hot water extraction system followed by the application of specialised chemical solution to avoid re-soiling. Depending on the severity, underpad replacement may be recommended. This is the normal shedding process of new carpets when small balls of carpet left over from the manufacturing process can be found on the floor or in the vacuum cleaner. Solution: This is not a harmful process and can be solved by gentle vacuuming; the small fluff balls should stop appearing within 1-2 months. When a carpet is pressed down in different directions, it can cause a pile shift that makes certain parts of the carpet look darker or lighter. This sort of pile distortion can occur on all carpet types over time. Solution: As there is no real “cure”, pile reversal is often just accepted as a natural evolution of a carpet. 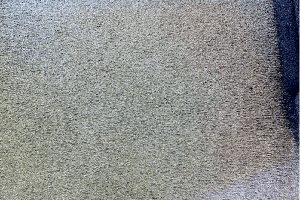 If your carpeting has seams in certain high-traffic areas, the pieces can occasionally separate and begin to fray. You should immediately glue down the frayed edges, but that is only a temporary fix and the seam will likely open again. Solution: Call a carpet repair as soon as possible to keep the damage minimal. Normal levels of foot traffic can cause fibres to untwist and then tangle with other fibres, creating depressed areas that look crushed. 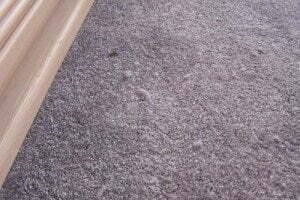 This is a natural occurrence in almost all carpet types and can be the result of foot traffic, improper carpet care, or material failure. 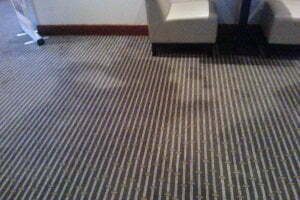 Solution: Carpet cleaning; hot water extraction method is the most trusted solution for improving (not fixing) the appearance of matted/crushed carpet. Heavy furniture can sometimes cause permanent marks on your carpet. One simple remedy is moving your furniture more often, even just from side to side once every few months. Solution: When you moist indented areas, some resilient carpet types can bounce back, so the success of this strategy is dependent on your specific carpet type. This commonly appears as a darkening at the edges of the room, as well as near doorways and air vents. This is caused by regular airflow dropping airborne dirt on those areas. 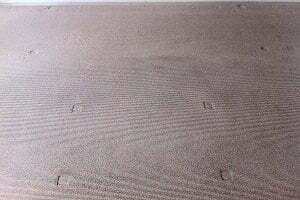 Filtration soiling can also sometimes be caused by inadequate sealing at the edges of the carpet. Solution: Professional carpet cleaning. Anti-filtration line solution must be applied to those darkened areas; while not 100% effective on all carpet types, an improvement is definitely possible. Some types of carpet are more susceptible to their dyes fading when exposed to direct sunlight; dyes can also be sensitive to certain types of pollutants and chemicals, which can also cause the discoloration of the carpet. 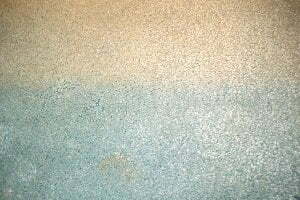 There are many household substances that can cause this sort of colour fading, even though the full extent of the fading may not be apparent until the carpet is cleaned. Solution: You should leave this to a professional who is familiar with the carpet re-dyeing process. 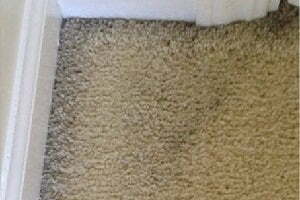 ← When is DIY Carpet Cleaning A Good Choice?